As an independent business, we are professionally recognised for our standards of delivery. We constantly strive to improve our service by choosing to be members of recognised industry organisations and through achieving recognised business accreditations. ISO 9001 in Quality Management is based on the plan-do-check-act methodology and provides a process-oriented approach to documenting and reviewing the structure, responsibilities, and procedures required to achieve effective quality management in an organization. 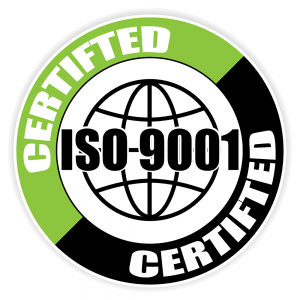 ISO 9001 helps customers consistently receive high quality products and services, which in turn brings many benefits, including satisfied customers, management, and employees. ISO 14001 in Environmental management is the international standard that specifies requirements for an effective environmental management system (EMS). Using ISO 14001 has many benefits including improving resource efficiency, reduced waste, cost savings, ability to measure environmental impact, meeting legal obligations, improving overall environmental impact and confirming to our business standards. ISO 18001 in Occupational Health & safety is an internationally applied British Standard for occupational health and safety management systems. It promotes a safe and healthy working environment by providing a framework that helps organizations to install policies, procedures and controls needed to achieve their Occupational Health and Safety objectives. The Investors in People Standard is the benchmark of good people management practice and is an internationally recognised accreditation. The IIP in People Standard is underpinned by a rigorous assessment methodology and a framework which reflects the very latest workplace trends, essential skills and effective business structures. Quest is an industry recognised and approved quality scheme which recommends best practice. It is supported by Sport England, and is based on the European Foundation for Quality Model (EFQM). Quest is a rigorous external and independent bi-annual audit of systems and processes covering Facility Operations, Customer Relations, Staffing and Service Development and Review. Sporta is a membership association that represents cultural and leisure trusts and social enterprises throughout the UK. Members share best practice, and as a collective work to promote trusts and social enterprises as the best way of delivering community culture and leisure services. Wesport vision is to collectively increase, promote, support and celebrate lifelong participation in sport and physical activity helping to realise potential for all. Wesport works as both an Independent Registered Charity through the Wesport Core Team, as well as a network of organisations in the West of England. 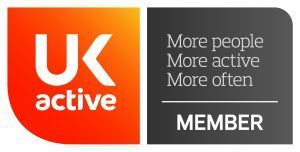 The UKACTIVE Research Institute aims to build an evidence base for the use of exercise and physical activity programmes in the improvement of quality of life, and the prevention and management of disease. The Strategic arm work to establish best practice on a range of issues from public health to workforce and skills development. The UKACTIVE Code of Practice works to ensure that health and fitness operators maintain a basic level of practice for the safety and wellbeing of their customers. Sport England fund organisations and projects in order to grow and sustain participation in grassroots sport and create opportunities for people to excel at their chosen sport. Sport England work in partnership with UK Sport and the Youth Sport Trust and is accountable to Parliament through the Department for Culture, Media and Sport.